Swedish duo, The Knife, have waited seven years to put out another full-length album, and it was well worth the wait. Shaking The Habitual does not stray from the quality and themes we are used to from, but it really is different from previous albums. It’s expansive, running over an hour and a half, and tracks last anywhere from 37 seconds to 19 minutes. They’ve really managed to create a discourse with Shaking The Habitual, incorporating topics like gender, politics, and protest. Make no mistake, though, this is not going to be an album you play straight through and feel the same about. But that’s the point. The album deviates from familiar to strange, back to familiar, then strange again. The opening track “A Tooth For An Eye,” is obtainable and makes the listener settle into a familiar sound. But as the album progresses, it is clear the band has stretched their boundaries, and focused intensely on producing something different. The third track “Cherry On Top,” is a slow, dramatic track that drags you along and grips you with a sort of primal feeling. The tracks that follow are equally unpredictable, meticulously crafted, and introspective. 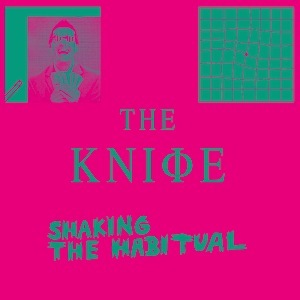 Shaking The Habitual is cryptic, noisy, primal, and raw. The album takes you on a journey well worth the unpredictability, and deserves to be dissected and savored at every point.